With the wide expansion of different animal-friendly cafés, this one in Bangkok, Thailand shines above them all. 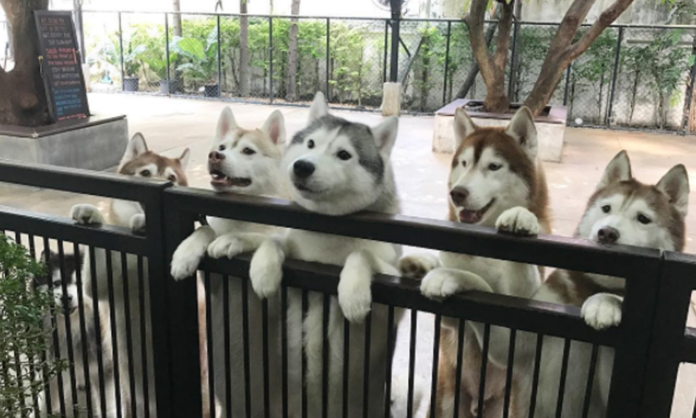 True Love at Neverland Café fulfills everyone’s dream of experiencing some cuddle time with twenty fluffy siberian huskies. An entrance fee to the café comes with a slice of cake, drink and the best part, an hour of play time with the energetic and adorable siberian huskies. True Love at Neverland Café is founded by husky breeders that’s why their origin and breeds vary. The playing time is done within the caged areas and patrons are allowed to interact with them, feed them with ice and capture candid moments while playing and embracing these lovely dogs. And as they have to bid goodbye, they will all rush back to the dog house and leave an astonishing view of their flurry movement. Do not forget to bring your camera, these huskies are worth a thousand selfies!